After conditioning the beer is centrifuged to remove yeast and hop particles. This is not a filter, but a gentle way to remove sediments. The beer is then carbonated and we package it in cans, bottles and kegs. 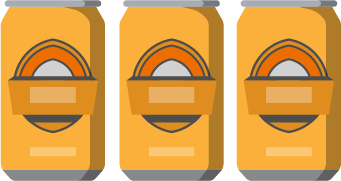 The freshly packaged beer is then sent to customers to enjoy. Cheers!